Be the first to share your favorite memory, photo or story of Olaf. This memorial page is dedicated for family, friends and future generations to celebrate the life of their loved one. 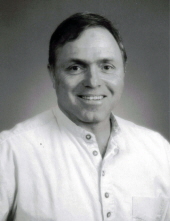 Olaf Gunderson, age 68 of Morristown, died on Sunday, March 17, 2019 at home. Memorial services will be held at First English Lutheran Church, Faribault with the Reverend Mark Johnson, officiating on Wednesday, April 10, 2019 at 1:30 p.m.
A reception will be held at American Legion, Faribault following the services on April 10. No visitation will be held. Olaf Henry, the son of Olaf and Myrtle (Sunde) Gunderson was born on November 16, 1950 in Duluth. He graduated from Clover Valley High School, Duluth in 1968 and also St. Olaf College, Northfield in 1972. He taught at Faribault Junior High School and later was employed in construction and also was an independent truck driver. Olaf played football for St. Olaf College. He was inducted into the St. Olaf College Athletic Hall of Fame in 1998 and his jersey #25 was retired on October 19, 2002. After playing college football, he played professional football for the Saskatchewan Roughriders. Olaf loved to fish and spend time with his family. He is survived by his wife, Renee; two sons, Shane Gunderson and his children, Baylee & Makena Gunderson and Todd (and Gala) Andreasen and their children, Alec, Andrew, Emma & Haley Andreasen; one step son, Shawn Andreasen and his children, Aiden & Mya Andreasen; two sisters in law, Rita Cook and Terry Plasch Olmstead; nieces; nephews; other relatives; and many friends. He was preceded in death by his parents, Olaf and Myrtle Gunderson. "Email Address" would like to share the life celebration of Olaf Gunderson. Click on the "link" to go to share a favorite memory or leave a condolence message for the family.